The delicate notes of a piccolo, mixed with the ratta-tat-tat of a snare drum, alerted guests that this was no ordinary Founders Gala. USD’S signature black-tie fundraising event, held on Nov. 11, 2017, was attended by a record-topping 600 guests and raised an unprecedented net revenue of $1.3 million. 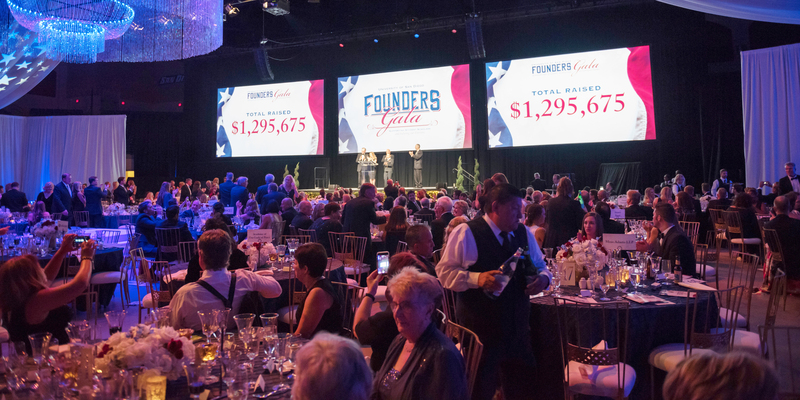 This year’s event grew the Founders Endowed Scholarship Fund that was established at the inaugural gala in 2009, and established a new, endowed scholarship fund dedicated to student veterans. See a video of the evening at sandiego.edu/2017-gala.